RESTORED 2006. - MOT until February 2016. 78,600 miles showing on the odometer. 200 Tdi ENGINE checked over and fitted with new cambelt. Professionally installed into the vehicle in 2013 complete with turbocharger, intercooler, Glencoyne anti-vibration engine mounts plus an electric cooling fan. NEW GEARBOX overhauled in 2014 at a cost of over £1100 by the recognised specialists, Midland Transmissions, to handle the extra power of the 200 Tdi. All gears, four wheel drive and high and low ranges work as they should. Clutch overhauled with new release bearing. 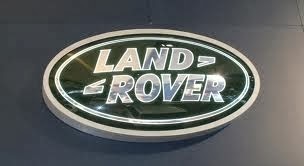 This Land Rover is comfortable and quiet, and drives extremely well. It has VERY GOOD STEERING which is not heavy and does not wander, due to the correct original size 5 inch wheels being fitted with NEW AVON RANGER ALL-TERRAIN TYRES in 2015. The BRAKES pull up strongly and in a straight line. Structurally very sound with good bodywork, thanks to a photographic RESTORATION in 2006. Waxoyled and well-maintained since. Original unmolested appearance, very attractive with black paintwork as an alternative to the usual colours. Solid chassis, bulkhead, crossmember and floors. The bodywork is not in concours condition and has a few minor blemishes – what old Land Rover hasn’t? – but nothing at all serious. Great cab INTERIOR with excellent deluxe front seats, inertia reel seat belts and stereo AM/FM radio cassette (that’s the white box on the dashboard in the pictures). The fuel and temperature gauges have recently stopped working (it has been suggested that this is due to the instrument resistor needing replacement, but I haven’t had time to investigate). The nearside door mirror is cracked but serviceable & the nearside windscreen has a small chip, but neither affect passing the MOT. Full expensive Wright Off-Road mats and sound insulation (as used by the British Army) installed on the bulkhead, floors and seatbox (see www.wrightoffroad.com) plus an additional heavy rubber acoustic insulation mat on the rear floor. Swing-away rear spare wheel carrier with cantilever action which swings automatically with the back door as it is opened. The large and detailed HISTORY FILE includes the photographic record of the restoration, invoices for repairs and maintenance, service records and a Workshop Manual on CD. HERITAGE CERTIFICATE from British Motor Industry Heritage Trust confirming the date of manufacture. Regretful sale due to change of circumstances. My family will be sad to see it go, especially my wife who loves driving it (unlike many Landy wives, which says a lot for the useability of this particular example).